Tom Emert, formerly a senior client executive at Oracle (NYSE: ORCL), has joined LexisNexis Risk Solutions as director for federal business development, G2Xchange ETC reported Wednesday. He will work with federal clients to help them assess potential risks, thwart fraud and deliver services to people in the U.S. 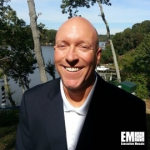 Prior to Oracle, Emert managed federal civilian accounts at SAS (NYSE: SE), SAP (NYSE: SAP), RightNow Technologies (Nasdaq: RNOW) and Commvault. He worked at the Naval Surface Warfare Center’s Dahlgren Division as a computer scientist earlier in his career.